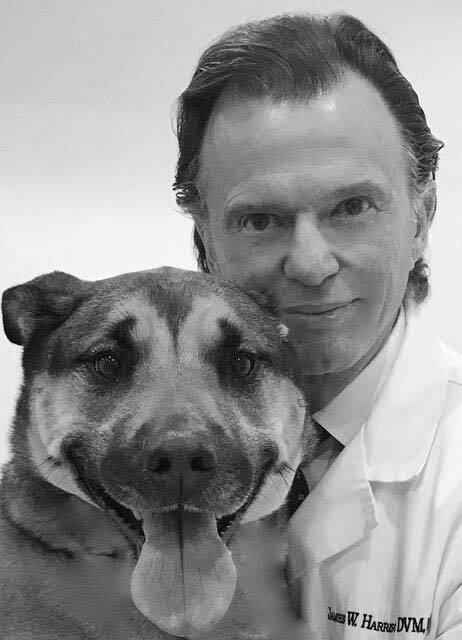 Dr. Harrison specializes in veterinary surgery including orthopedic surgery, joint surgery and knee surgery for dogs and cats. Services offered are knee reconstruction, ligament repair, patellar (knee cap) stabilization, fracture treatment, spinal surgery, joint surgery, total hip replacement, bone disease diagnosis, lameness examinations and others. At our clinic, we take pride in providing your pets with safe and effective surgery. We love pets and treat all of our patients as if they were our own. If your veterinarian has referred your pet for an orthopedic evaluation, here is some information that may help you. The role of the orthopedist today is to determine the cause of lameness, whether it is related to bones, joints or the spine, and to offer advice for its treatment. Solutions may require medication, splints, exercise modification or surgery. Surgery is not always needed, but if it is, be assured that with recent advancements, it is usually safe and effective. Most orthopedic procedures can be done for $500 to $1,500 plus the cost of the metal implant (if any), surgical supplies, anesthesia and technician time. There is no charge for follow up visits and aftercare. Check, MasterCard and Visa are the preferred method of payment. Most appointments are made at 11:00am so that there will be enough time in the afternoon to complete the surgery in one day. If surgery is recommended, it can usually be completed the same afternoon. Overnight care is available, but most procedures can be performed on an outpatient basis. Patients are usually released to go home the same afternoon. Please do not feed your pet the morning of your appointment and bring along with the patient any available x-rays or diagnostic tests. This will expedite service and minimize costs. These materials will be returned with a letter detailing the diagnosis and surgical procedure. Additionally, your veterinarian should expect a call from the staff following surgery. You or your veterinarians are welcome to call me at any of the numbers listed. Looking forward to hearing from you. Share your experience and pet photos. Read our reviews and patient comments. Read patient comments about Dr. Harrison.